Back in September, Glooko announced the release of a new version of its iOS app, a digital logbook which helps people with diabetes track their blood glucose levels from their smartphone. The new app brought support for six additional glucose meters, meaning that Glooko is now compatible with more than 17 different devices — a sign of the headway the startup has made in its march toward meter agnosticism. Diabetes, as with any condition that requires constant monitoring and tracking (often via multiple devices), has been in sore need of better data and device interoperability, and Glooko is on a mission to do just that. While there are a ton of digital logbooks in the app store for those who regularly check blood sugar levels, most require users to enter data manually. Since launching in late 2011, Glooko has set itself apart by allowing them to download readings from multiple devices automatically. 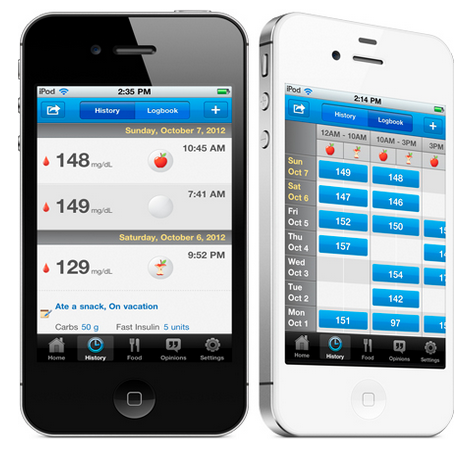 However, up until now, Glooko’s Logbook Charts — an app that gives users robust analysis and visualizations of glucose data — has only been available in Europe, but that changed today, as Glooko announced that has received 510(k) clearance from the FDA, allowing it to expand distribution and bring products like Logbook Charts to the U.S. This is a significant achievement for Glooko, especially considering that FDA approval isn’t something that comes easily or that happens overnight and can require months or years of effort to meet the government’s stringent regulations. But now that it has regulatory approval as a Class 2 device, Glooko is clear to sell its products over the counter as well as directly to consumers. It also allows the startup to begin courting healthcare providers, which gives them access to a huge market of potential institutional customers. With the nod of approval from the FDA, the startup is also announcing today that it has new leadership at the helm, as Rick Altinger joins Glooko as CEO and Dean Lucas as its new VP of product development. Altinger is the company’s first CEO and brings over 15 years of industry experience in healthcare services, serving most recently as an executive at Intuit Health, where he led the company’s acquisition of Medfusion. Lucas, too, is a veteran of the healthcare industry with 17 years of experience under his belt, having led interface and product design for both Doximity and Epocrates — the latter of which was recently acquired by Athenahealth for $293 million. He will also reportedly has plans to help bring Glooko to Android, which is welcome news to Glooko users who have endured a long wait for an iOS alternative. The Center for Disease Control has reported that 25.8 million Americans — 8.3 percent of the population — have diabetes and an estimated 79 million have prediabetes, making it one of the most pervasive diseases in the U.S. As a result, there’s a huge opportunity for digital health startups in leveraging technology to help those who suffer from the disease to better manage its symptoms. Startups like Glooko and Omada Health represent the next generation of care and prevention, finally helping the country address a critical disease that costs it $200 billion each year. To date, Glooko has raised $3.5 million in funding from The Social+Capital Partnership, Bill Campbell, Vint Cerf, Judy Estrin, Andy Hertzfeld, Venky Harinarayan, Russell Hirsch and Xtreme Labs.